I think the thing that makes detective stories so compelling is our basic, innate nosiness. It’s natural for us to want to know what’s going on, and where, and why, and by whom and to whom. We want to know it all. Or I do, at least. I want to know everything from the important facts to the less important ones; I want to know about the murder weapon and I want to know about what the killer had for breakfast (and what else was on the menu at the breakfast-murder place). I’m nosy -- and that’s why I like detective stories, and it’s why I especially like Ripples. 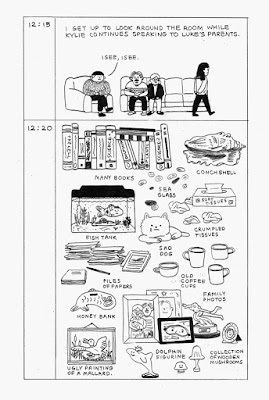 Ripples is British cartoonist Wai Wai Pang’s long-form comics debut, published by Sweden’s Peow Studio in the summer of 2017. A teenage boy has gone missing from a lakeside community, and intrepid Big City detectives Pan and Kylie have been tasked with discovering his whereabouts. 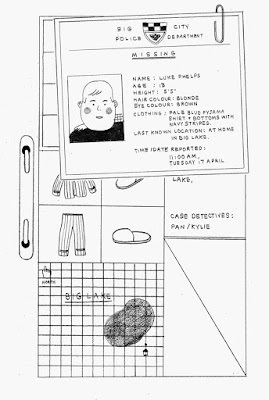 Ostensibly made up of sketched excerpts from Pan’s personal diary, the book follows the two detectives’ investigation of Big Lake to the last detail -- from maps of the area, to detailed schedules of characters’ whereabouts, to annotated diagrams of the local wildlife -- as the pair attempt to get to the bottom of things and return the kid home safe and sound. Like everything I’ve read from Peow so far, Ripples is a beautiful book. It’s pleasing just in terms of being a printed object, and there’s an obvious care and craft involved with the book design and finish that makes it a satisfying thing to hold. I’m a nerd. The interiors are pretty too. 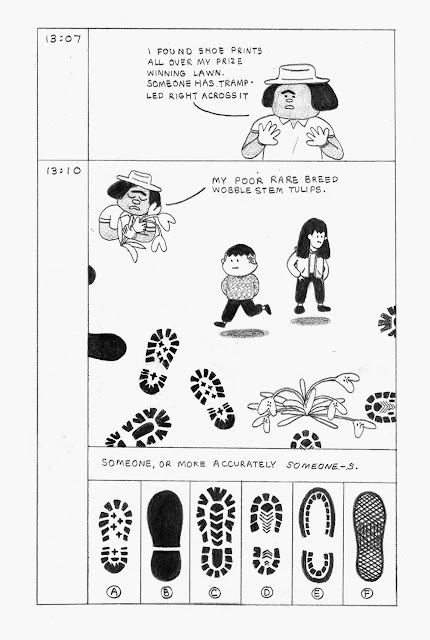 There’s a naive charm to Pang’s line, and a simple, straightforward approach to her cartooning that is belied by an almost obsessive attention to detail; outside of the obvious chart and map stuff, the pages are peppered with beautiful skylines, cluttered rooms, lived-in environments. With its cute characters and provincial setting, Ripples comes across as something like a cop show set in the world of Animal Crossing, or a murder-mystery subplot in a Mother game. Everything is drawn in lead pencil, complete with rub shading and little doodles in the margins, and Pang’s breezy aesthetic works well to belie the potential darkness of the genre and the subject matter. 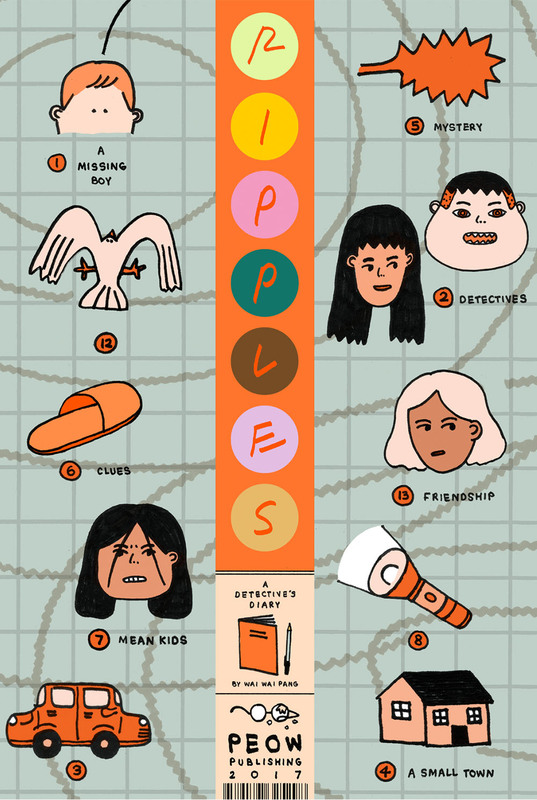 By far the most interesting thing about Ripples, however, is its use of elements that aren’t necessarily pure panel-to-panel comics -- the aforementioned maps ‘n charts -- to do the brunt of the storytelling. 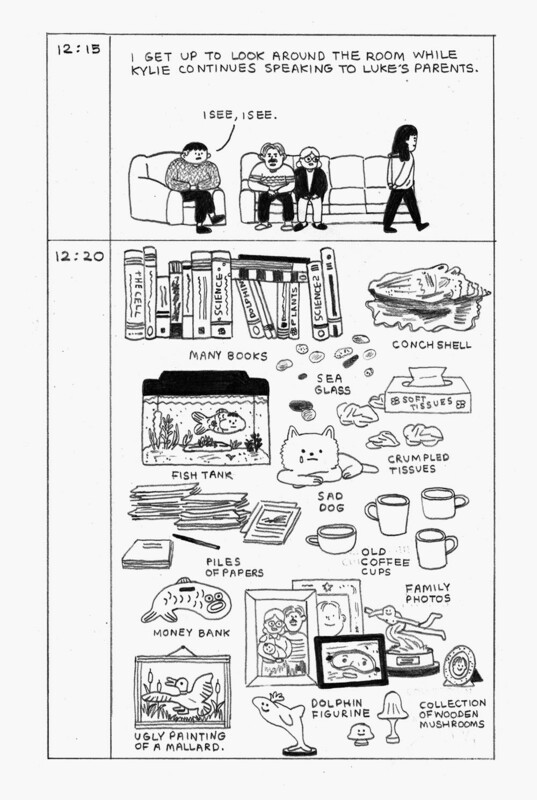 Rather than exist truly diegetically and separately from the comics sections, these diary elements are often fully illustrated and integrated directly with the cartooning, leaving us with something like a hand-drawn comic book/excel-spreadsheet hybrid. This stuff takes up a huge majority of the book and is consistently funny and inventive and a joy to explore. What these elements do more than anything is to situate the reader directly alongside our lead characters. We sift through clues with them (big, labeled drawings of miscellanea pulled from investigation locations), we study timelines of events with them, and we move through bird’s-eye-views of Big Lake with them. There’s enough material here that the process of parsing it all feels like an almost interactive experience, which is fitting. Perhaps the most satisfying medium for mystery storytelling -- as decided by me, now, as I’m writing this sentence -- is the point-and-click adventure game (don’t @ me, etc. ), and in utilising these elements to their fullest, Pang has created as close a pencil-and-paper simulacrum as you could possibly manage without drawing a full-on choose-your-own-adventure book. It’s fun. These elements also do something that is distinct to the comics medium and one of my favourite things to read. In flooding the reader with detail, Pang builds an entire world that exists on the margins of the main plot. Everything is TMI: Detective Pan keeps note of temperature and cloud coverage, includes comprehensive 360-degree views of every new character she meets, and, yes, even annotates the components of her and Kylie’s lunch (jacket potato and a club sandwich, respectively). This visual bombardment of peripheral information adds up to reveal things about setting, time, character, and plot that would feel distracting or indulgent in any other medium, but works here to create the sense of a fully realized, miniature-scale world existing just outside the edges of the page. I love this special bonus superpower that comics has. It’s something I’m always, perhaps feebly, trying for in my own work -- I’m always sticking maps and status readouts on things, and hell, I’ve even weirdly drawn short pieces featuring a detective and a notepad, though to different ends and lesser extents as in Ripples -- and I always want to see more of it elsewhere. 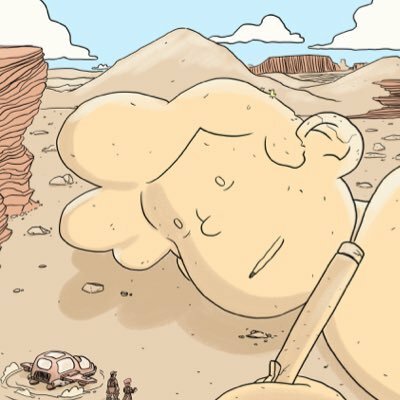 Brandon Graham does great things by working this kind of material into his more traditionally cartooned, densely plotted sci-fi work, and, obviously, it’s kind of Chris Ware’s whole schtick, but it’s great and exciting to see artists find new ways to explore this aspect of comics’ untapped potential. 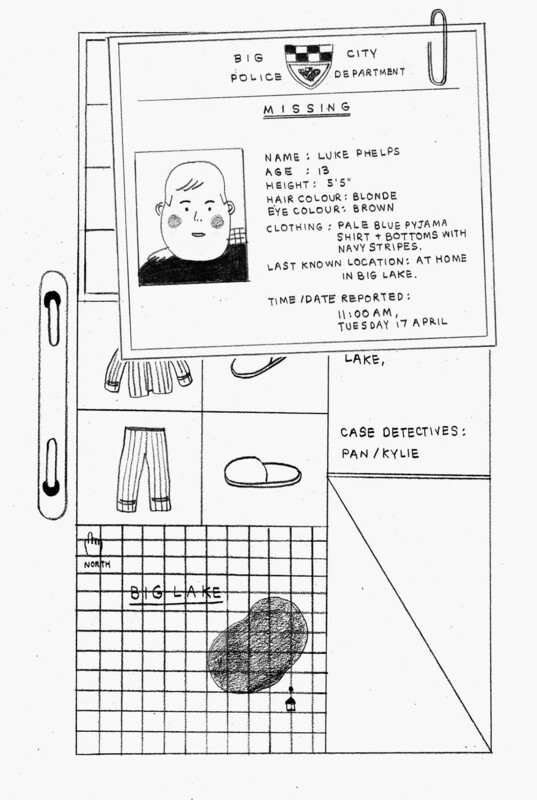 As Pan and Kylie retrace their missing person’s steps, they become privy to the initiation rituals of a group of school bullies, and they are, ultimately, led on a good old fashioned detective-suspect footchase around Big Lake that we know, thanks to Pang’s handy panel-side timestamps, lasts exactly seventeen minutes. By this point in the book, any sinister notes underpinning the core mystery have evaporated to make way for a melancholy tale of everyday schoolyard cruelty, and when the Big Reveal comes and all is made right, there’s a slight sense of deflation. There are loose ends and a couple of opportunities for interpretation in the mystery’s final unraveling, and the book’s final images implore the reader to go back and retrace their steps to glean more hints about what really went down at Big Lake. While there are enough clues scattered around the place to offer food for thought about a couple of scenarios, there’s not enough to really build a solid thesis on. While the finale is beautiful in its own way, it doesn’t quite satisfy the desire for neat and tidy order that literally everything else prior to it does, and that’s probably the point. Still, the book ends with an exultant ‘Case Closed’ and leaves all characters involved more or less happy. After all, at its heart, Ripples is a sunny comic, full of trees and grass and birds and geography teachers that are also frogs, and though its core detective mechanics may initially hint toward a more suspenseful or ominous resolution, the book instead opts for one last video-game cliché: fun. Indeed, Ripples seems built from the ground up purely to give joy, and Pang manages it with every floor plan, foot-note, and cross-section. Plus we got to find out what they all ate. 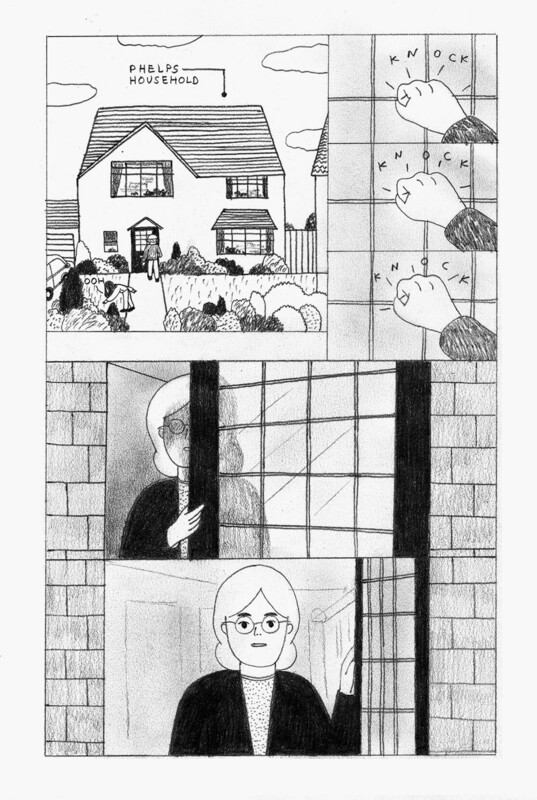 Josh Hicks is a cartoonist from the UK. His Glorious Wrestling Alliance minicomics are available at his store, and his shorts collection, Human Garbage, is published by Good Comics. He got mildly sick while writing this review and wants everyone to know it. You can find him at @ajoshhicks or joshhicks.co.uk.